When I discovered I was pregnant with my first baby in August 2012, in many ways, I was a typical first time mum. I don’t think I knew anyone at this point, who had given birth uneventfully, or if I did they were very quiet about it! Family and friends found it amusing to tease me about the impending birth. The picture above, for example, was taken when I was 38 weeks pregnant and my dad saved me an article that he had read in the Daily Mail about a woman who gave birth to a 14lb baby! Thanks Dad! However, I was also an atypical first time mother. I had spent a year working as lead commissioner for maternity services a few years prior, so I knew the local maternity landscape pretty well. 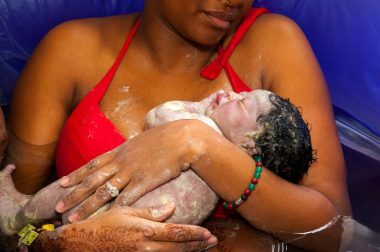 I planned to give birth in water in the co-located midwife-led birthing unit at my local hospital. Clinically, there was no reason to believe that this wouldn’t happen, as I’d had an uneventful pregnancy. Unfortunately, it was not to be and my son was born by caesarean section, at term plus 13 days, following a prolonged bradycardia (abnormally slow heart rate). The only ‘intervention’ I had prior to his birth was two sweeps and expectant management (after my waters broke 48 hours prior to his birth). The staff were kind to us, particularly during the preparations for surgery, when it wasn’t clear whether I would need a general anesthetic. Luckily, it was decided that there was time for a spinal and I particularly remember one staff member (I’m not exactly sure what her role was) encouraging me to breathe and explaining that the shaking was normal. However, there were also long periods where they seemed to completely forget about me. No one told me that my baby was about to be born, I heard a baby cry and said to my husband: “I’m guessing our baby is the only one in here?” My husband even forgot about me and went over to the resuscitaire to watch them clean and dress him. I remember struggling to get anyone’s attention to ask whether his pink hat meant he was a girl. To this day, this picture- the first picture of my son (taken while I was still in theatre)- makes me feel really sad. I missed such a pivotal moment in his life, despite being there, I was absent and swept up in the process of surgery. Afterwards, in recovery and on the postnatal ward, I felt shell-shocked. I remember feeling a strong desire to forget what had happened and focus on what would happen next, I didn’t want to miss more important moments being upset about what happened or asking questions. The thing that I decided to focus on was breastfeeding and that experience, more than anything else, how I would eventually approach my second birth. It was through breastfeeding that I experienced my: “I am a mother!” moment, the moment I had missed in his birth. I also learned to trust my body, to seek out information from other mothers (such as the La Leche League) and feel confident in my body’s power to give life, despite obstacles. It wasn’t long before I had the chance to birth again. I found out I was pregnant again a few months after my son’s first birthday. Second time around, I spent a lot of time preparing for birth, not so much practically (second time around that only required a trip to the loft! ), but emotionally, physically and spiritually. 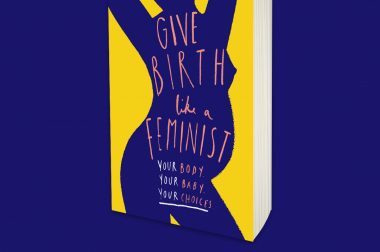 For months, I lived and breathed positive birth, I fell asleep every night listening to Katherine Graves, I did antenatal yoga and I walked everywhere in the hope that it would support good positioning (something I suspected had caused the problems in my first birth). I wrote a birth plan, involved Supervisors of Midwives, negotiated and agreed a plan that I was happy with. My husband was on board and ready to fight my corner. I felt strong. I felt determined. I felt ready. It was almost exactly the same as my first birth. Every thing was fine and then it wasn’t. They were even born on the same day of the week an hour apart, both by emergency caesarean section for prolonged bradycardia. I’ve really struggled to find the right words to express how I felt about my second birth, my caesarean birth after caesarean. It isn’t the story that I thought I would write. In some ways it is a failure: it doesn’t have that hopeful story arc that we all love so much- there isn’t a triumphant ending where I overcome all trials to achieve my goal. My second birth was a paradox: the fact that I gave birth by caesarean again hurt me, but it also healed me. I have felt very contradictory things about my births. I have found myself wondering about what happened that night. Did I believe in myself enough? Did I try hard enough? Was I weak? Did it happen because I was scared? How will it affect my son in the future? Am I being silly? Privileged? Worried about frivolous things? Does it matter in the grand scheme of things? I also find myself feeling grateful, remembering the moment when the midwife handed me my son and it felt like we were the only people in the room. My second birth, was so much better than my first birth, even with clinical circumstances that were almost identical. My caregivers had read my back-up caesarean birth plan and the team looking after me in theatre showed that they cared about what I wanted. You can see this difference in the photos from my birth. We have this mother and son photo, taken while I was still in theatre. I am still on the operating table, in the process of being stitched back together, thankful that I was able to experience fully the moment of his birth. 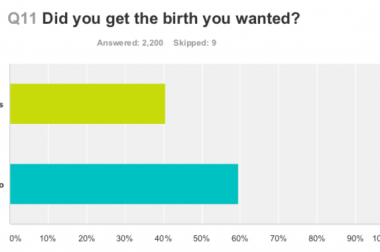 What was the biggest difference between my two births? Quite simply, I felt heard. I was heard in my second birth, because I had thought about what I wanted and written it down so my caregivers could read it. I was heard in my second birth, because my midwife read my wishes and acted upon them. I was heard in my second birth, because the rest of the team listened to my midwife and did the best they could to honour my wishes. ​While I don’t want to pretend that there aren’t significant challenges in maternity care (from gaps in the evidence base to pressure on staff), I really do believe magical things can happen when women speak up about what we need and our caregivers do their utmost to listen. 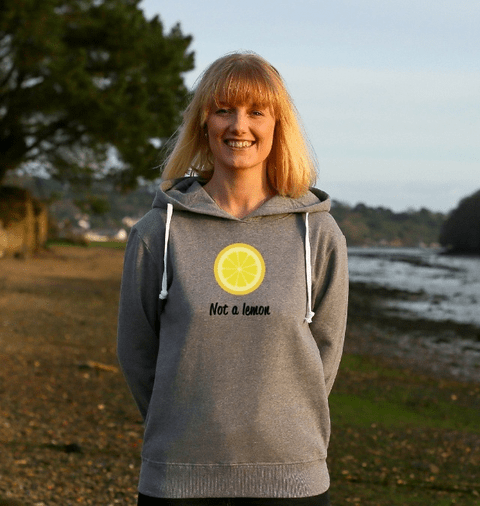 Clare Goggin regularly writes and speaks about woman-centred Caesarean birth. Her first book “Why Caesarean Matters” will be published later in 2018. You can contact her on twitter @csectioninfocus.